The threat posed by so-called dirty bombs on society is increasing. A dirty bomb or radiological dispersal device (RDD) is a speculative radiological weapon that combines radioactive material with conventional explosives. There are two primary reasons for this – firstly because we have seen in recent years that most attacks are unsophisticated attacks on soft-targets (Europol, 2016) and secondly because ISIS and other terror groups have a strong interest in acquiring and using Chemical, Biological, Radiological, or Nuclear (CBRN) materials (Bureau of Counterterrorism. United States Department of State, 2016). 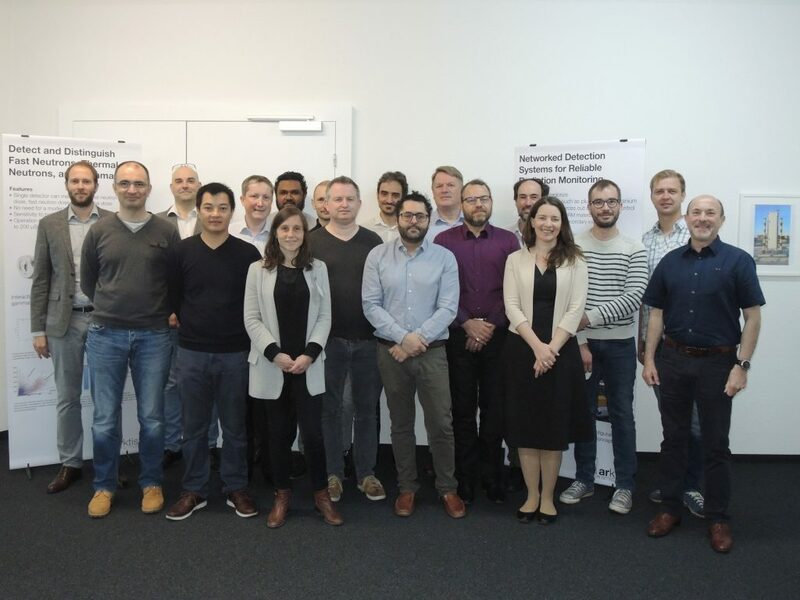 The TERRIFFIC project brings together 10 European organisations, which will work together to deliver an important step change in the effectiveness of first responders during the first hours of a Radiological, Nuclear, explosive (RNe) incident. This will lead to reduced response times, less health and safety risks for the response teams, and less human intervention in the operation due to a higher number of automated processes and extended mobile detection capabilities. TERRIFFIC is a new research and innovation project, funded under the European Commission’s Horizon 2020 programme, which will enrich the European response to RNe events by a set of modular technology components in a comprehensive system. 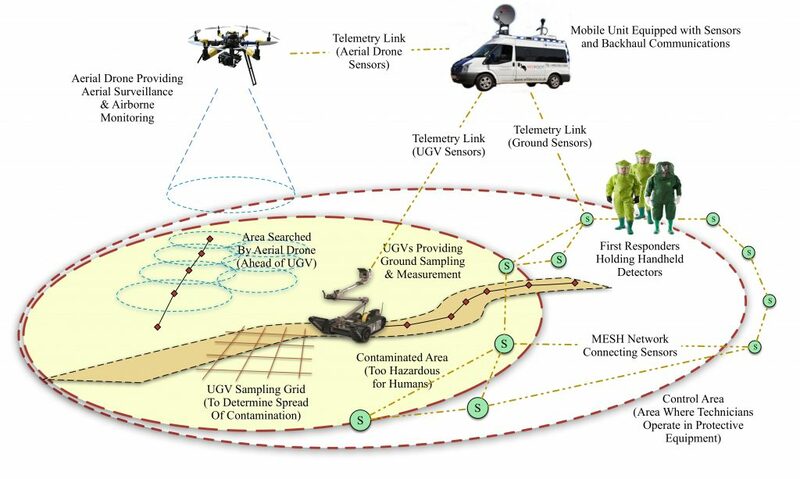 These components include new detectors, algorithms, drones, robots, dispersion models, information management software and decision support systems. Although the primary focus of the project is on the response to an explosion containing radioactive or nuclear elements, the project will also provide detailed information on the applicability of some developments within a chemical and biological (C/B) context. Dedicated Key Performance Indicators will measure the progress towards targeted performance goals, such as significant acceleration of the time to start terrain interventions, as a result of more accurate and near-to-real-time estimation of the control and exclusion zones. Advanced mixed reality technology will be leveraged to provide first responders with ad-hoc available and continuously updated information during operations. TERRIFFIC is SME-led and practitioner-driven. Leading edge technologies will be provided by the R&D partners, whereas key innovative components will be developed by SMEs already involved in military or first responder markets taking on the commercialisation of the TERRIFFIC System and its components. Central to the project’s future success is the fact that practitioners will be heavily involved throughout the development process, components’ assessment and technology trialling. Their operational expertise will be essential to ensuring that all development is focussed on the right areas of development. The project will also leverage results from previous successful FP7 projects, closely cooperating with ENCIRCLE on the CBRN cluster and market aspects, and with eNOTICE on training and technology testing and assessment. Special attention will be given to standardisation to optimise the integration with future and already applied solutions. The impacts that dirty bombs have both on individuals and our wider society should not be underestimated. The 10 partners in TERRIFFIC will be working hard over the next three years together with CBRNe experts and practitioners to develop tools and solutions to help them manage such a situation whenever it occurs. This project has received funding from the European Union’s Horizon 2020 research and innovation programme under grant agreement No 740450. The content reflects only the authors’ views, and the European Commission is not responsible for any use that may be made of the information it contains.